Ruth Langsford in my customised purple Franka dress with Ayda Field and Robbie Williams! 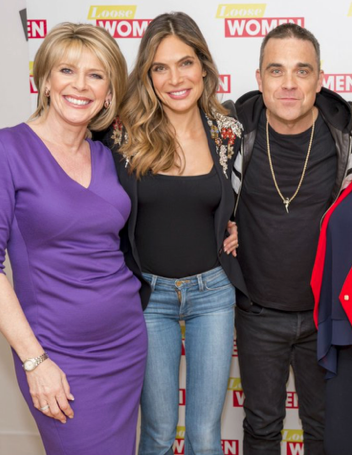 Ruth Langsford in my customised purple Franka dress with Ayda Field and Robbie Williams on Loose Women. Make a statement in Animal Print! NEW SILK ANIMAL PRINT 'ELEGANCE' ! This season all fashion trends set their focus on MODERN ROMANCE including animal prints. 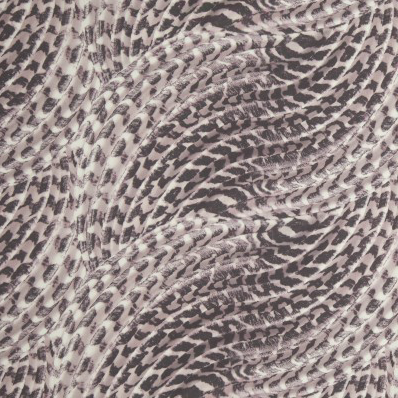 Therefore we are introducing our first animal print fabric made out of pure 100% ITALIAN SILK.This print design has a soft colour palette including black, lilac and rose. 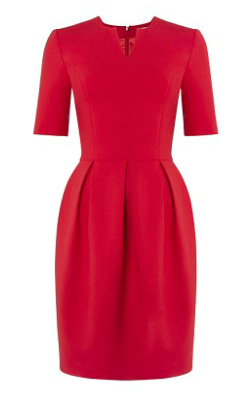 It has a vintage feel, but looks modern - it is ladylike fashion yet is playful. It is a perfect choice for all up coming spring and summer special occasions. This new fabric is available to all existing customers, who want their favourite Michaela Jedinak dress made out of this new fabric design. It is a limited edition and first come, first serve. Please get in touch with me on [email protected] for more information. We offer a 15% discount on all dress designs made out of this fabric, if you place by the end of the 3rd of April. 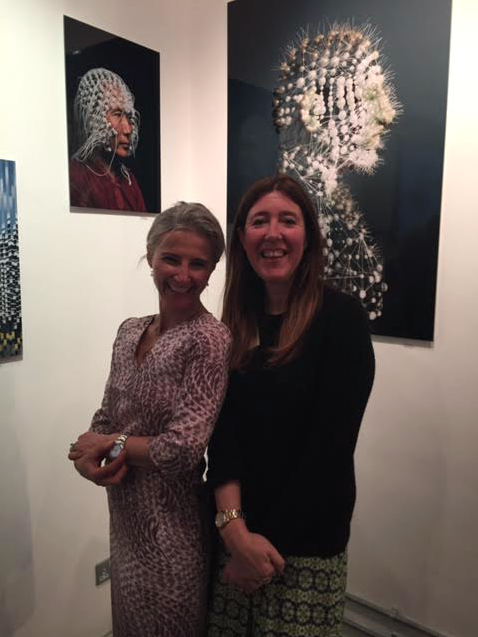 A fun evening with Beyond BESPOKE at the Getty Images Gallery. Dressed in my customised Bailey dress made out of the new Italian silk print. Michaela Jedinak interviewed by LDN.FASHION! 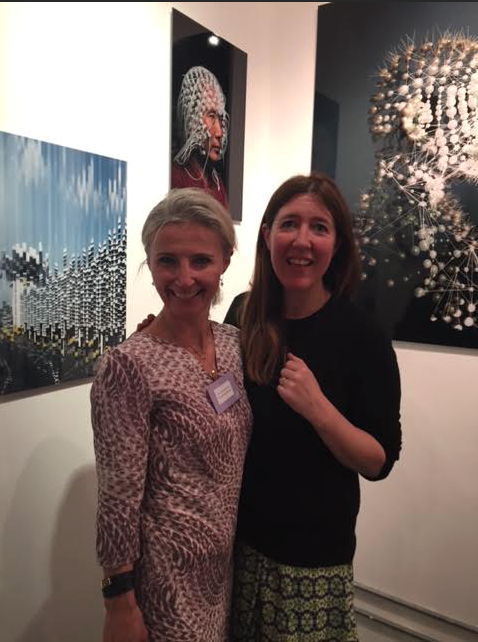 Michaela Jedinak at the Women with Influence for Cancer Research at the South Kensington Club! 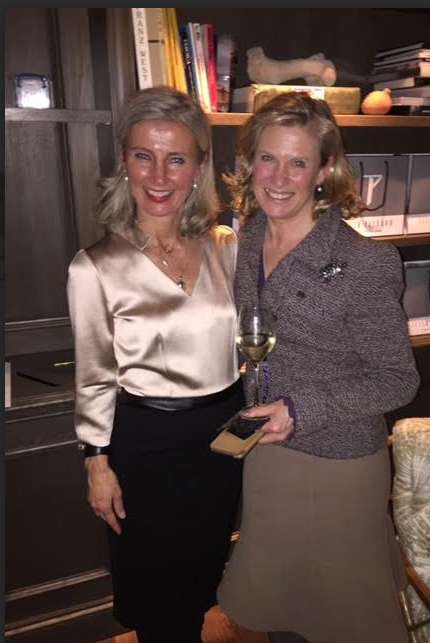 Here pictured with Gay Collins at the South Kensington Club in aid for Women with Influence for Cancer Research. 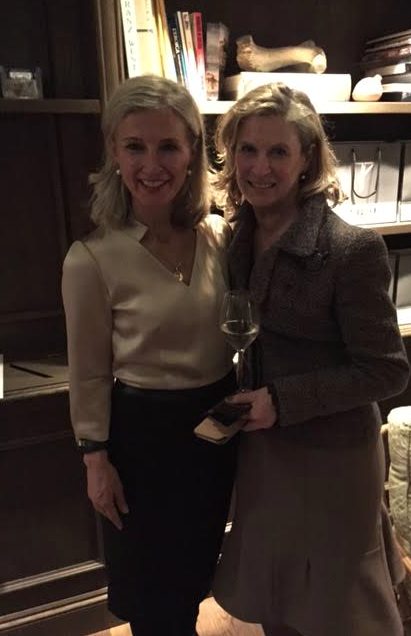 Nathalie Seiler- Hayez in my Bailey dress when appointed General Manager of Beau - Rivage Palace in Lausanne! Simplicity is the essence of modern elegance! It's chic, flattering, timeless, strong, attractive, eye-catching,powerful, comfortable and always in style. Plus it allows the wearer to add their own style personality without over cluttering the dress, the look and ultimately the wearer. It's all about looking and feeling unique rather being a bad copy of someone else. Modern elegance is as much about being your own Fashion PRO as about Fashion Versatility- meaning you need be able to dress it up and down, wear it more than once and be able to wear for the foreseeable future. After all Modern Elegance is about investment pieces where it is about cost per wear- the more you wear it the cheaper it becomes. 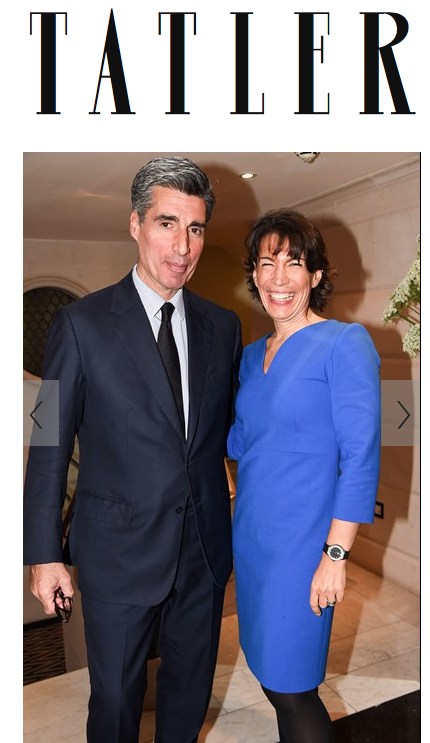 Nathalie Seiler- Hayez in my customised electric blue Bailey dress. 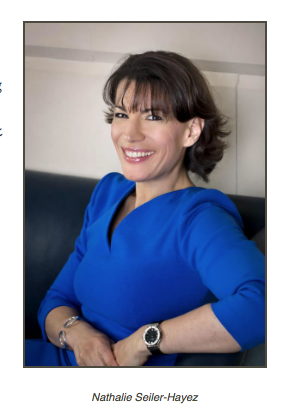 Wore it the first time in 2014 when she was the General Manager of the Connaught Hotel and more recently on her profile image when appointed to General Manager of Beau - Rivage Palace in Lausanne. Dressed in my Jacqueline outfit at the South Kensington Club! 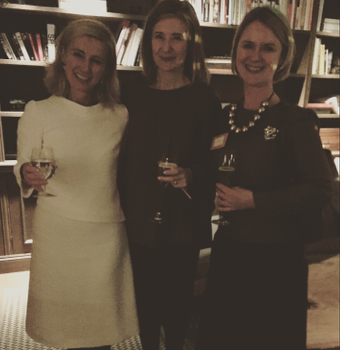 Lovely evening at the South Kensington Club with Lucy Lewis , Founder and CEO of BEYOND BESPOKE. 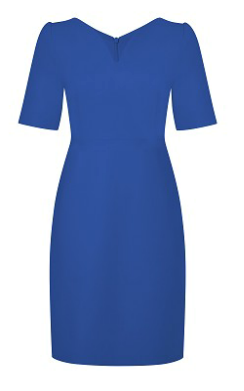 Loving my new two piece Jacqueline outfit, which comes in over 30 colours. 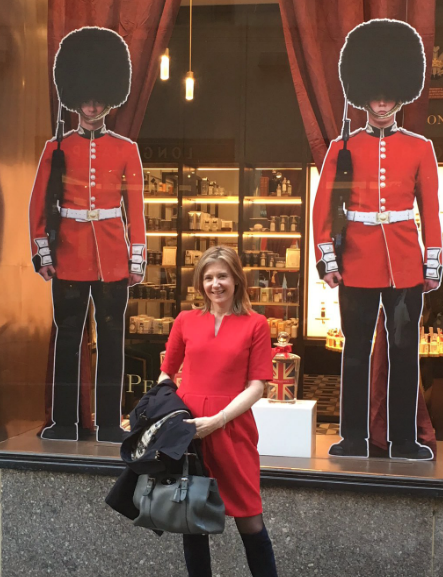 Lucie Lewis- Founder and CEO of BESPOKE dressed in my red Alana dress in New York City. It was inspired by the sophisticated, romantic vintage style aesthetics of the 50's fashion, but is fused with contemporary elements that makes it a pretty modern dress with timeless appeal. 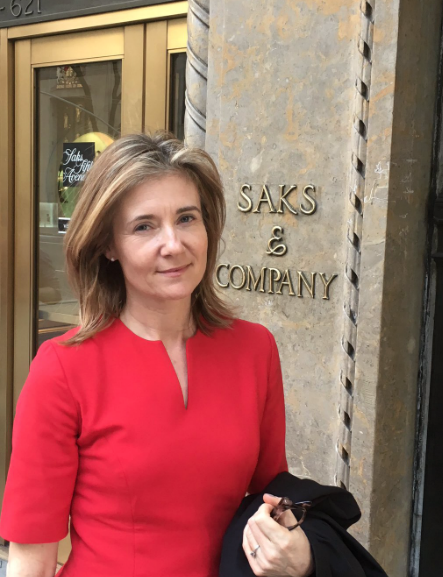 Michaela Jedinak in the TIMES BUSINESS : " Tipping point: all dressed up and really going somewhere"
Michaela Jedinak was featured in The TIMES BUSINESS by business editor Carol Lewis.